Do athletes and entertainers deserve the high salaries they receive? 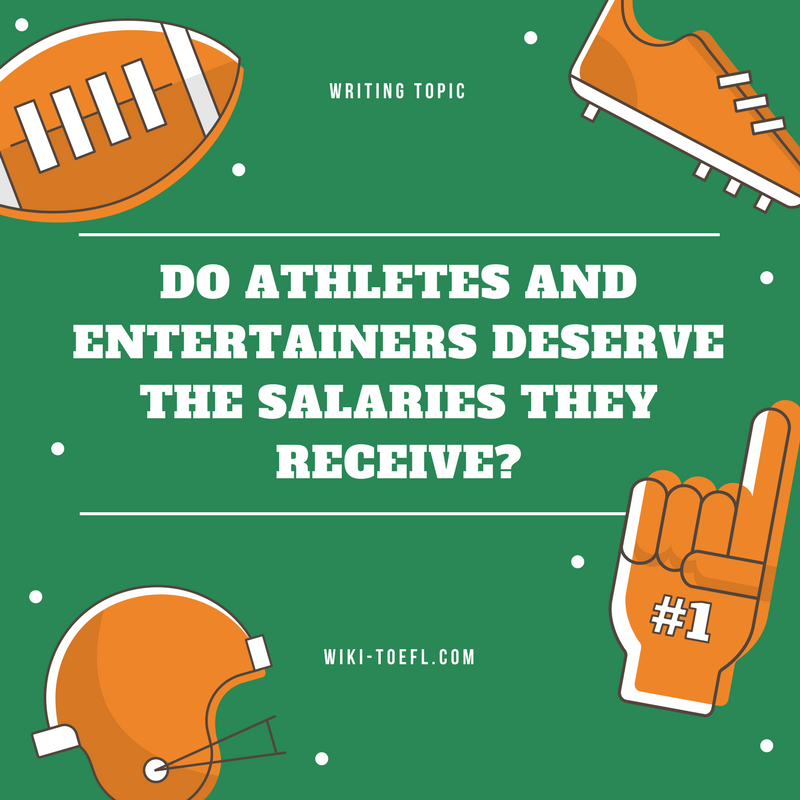 Home Writing	Do athletes and entertainers deserve the salaries they receive? Some famous athletes and entertainers earn millions of dollars every year. Do you think these people deserve such high salaries? Some athletes and entertainers earn millions of dollars annually. In contrast, an elementary school teacher, on average, probably makes less than $35,000 a year. I think the fact that this difference is commonplaces is a sign of our society’s misplaced values. It shows that we put more importance on entertaining our children than on educating them. It seems that the careers that are the least values in our society often are those that are the most important. Why is this so? The market determines who gets paid what. Teachers are paid by tax dollars. Sports teams make hundreds of millions of dollars every year. These teams earn fabulous profits from radio and television rights, as well as everything sold at the concessions stands. The same is true of movies. They are produced by studios that make huge profits annually. These enterprises can afford to pay their entertainers and sports figures huge salaries, because those athletes and film stars draw people to the entertainment. Why are we willing to pay so much to see a ball game or a movie, but not for a good teacher? Maybe it’s because we want distraction; we want to be entertained. Maybe it’s because we think of education as a right, which entertainment seems like a luxury. We expect to pay for our luxuries. It’s not that I begrudge the players and entertainers their huge salaries. Most of them have very short careers. Athletes may be too old in their early 30s. Many of them gamble early in their lives on making it big in the sports or entertainment world, and deny themselves a good education. They have little chance of a stable career, so they need to earn enough money to support them for a long time. On the other hand, most of us aren’t going to earn $10 million in a lifetime of work. So it’s hard to sympathize with people who do. We have to ask ourselves: who really give the most value to society?